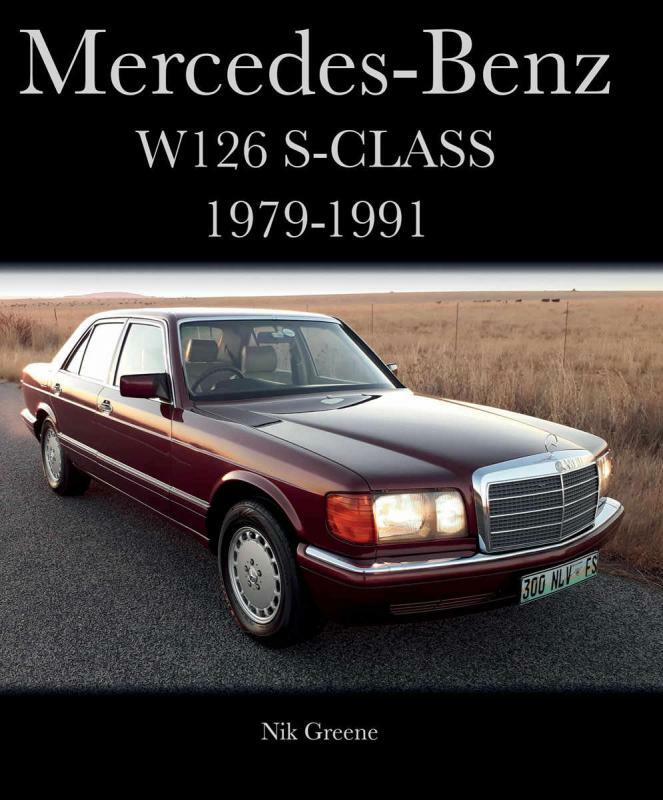 Nik Greene has a new W126 book coming out in May 2019, available for pre-order from Amazon. "You don't simply decide to buy an S-Class: it comes to you when fate has ordained that your life should take that course. The door closes with a reassuring clunk - and you have arrived," said the sales brochure of the first real Sonderklasse, the W116. The Mercedes 126 S-Class of 1979-1991 remains the most successful premium saloon in the company's history and is considered by many to be one of the best cars in the world. With over 300 colour photos and production histories and specifications for both Generation One and Two models, this is an essential resource for anyone with an interest in this timeless car." AxelWulff, BNZ and Richter Rox like this. Thanks for the heads up Malcom, just placed an order looks like a great book . Thank God it looks like spring is finally here and the salt and snow are gone for another year. Other than the hard cover, is this different from his first book? "over 300 colour photos and production histories and specifications for both Generation One and Two models". In my opinion, his other W126 book offers essential hands on detailed technical nitty-gritty.... It's like no other. This one will be a 'nice to have' historical reference and evolution of a timeless automotive artifact: the W126 Mercedes-Benz. As a moderator can you explain why it’s ok to promote and link Niks book but we can’t link Roland’s wheel site or Igor’s wood restoration site ? I've wondered why Roland hasn't become a sponsor himself. I haven't heard from Nik in a while. I gave up when my euro tail light lenses never arrived. Indeed, haven't heard from Nik in some time. As far as I know, he isn't hawking his book here? Pretty sure Malcolm is pleased to be sharing something he thought would be enjoyable. Niks been busy then, another book. Absolutely Ian & thank you. That's exactly where I am coming from.. I just happened upon it earlier today, and thought: Cool. We W126 fans could benefit. Then I made the posting as a contribution to our fellow W126 enthusiasts here. Gent's, we are most fortunate to have these resources available to us.. all of them. I include the BenzWorld community, especially our W126 section as vital to my automotive mental health. This means you. Last edited by MBL87560SEC; 03-22-2019 at 03:04 PM. Yet when some of us (myself included ) post a link to Roland’s or Igor’s websites we get banned for a week ! nik is pretty active in ig.